The Downey Museum of Art (DMOA) has one of the largest collections of works by Boris Deutsch, a 20th century Lithuanian-American painter. 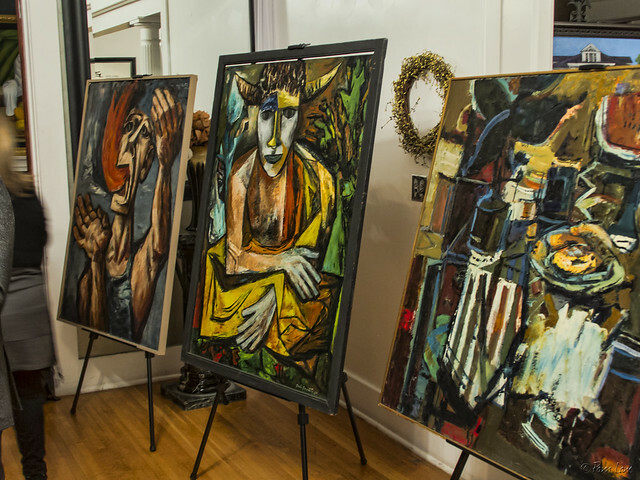 In addition to the works of local artists, last night's art show at the Rives Mansion included a display of several Boris Deutsch paintings. (Click here for more information about the artist and his works.) These paintings have been packed away in storage for the last several years, and are only recently being displayed again. And as I mentioned yesterday, part of the appeal of the event, at least for me, was the opportunity to experience once again the feel of another century through this historic house. 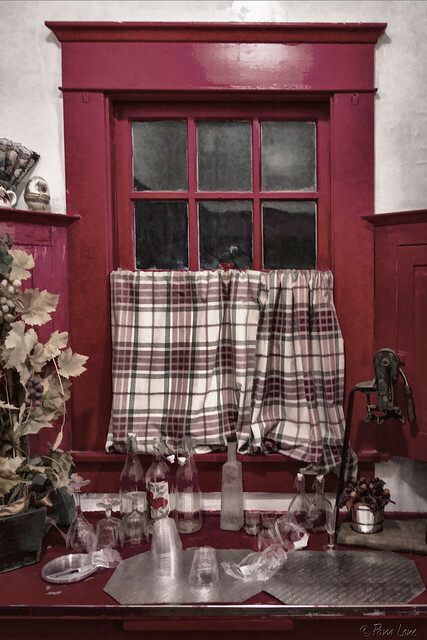 The picture to the right shows the window and work area of the butler's pantry next to the kitchen. According to Wikipedia, "A butler's pantry or serving pantry is a utility room in a large house, primarily used to store serving items, rather than food. Traditionally, a butler's pantry was used for storage, cleaning and counting of silver...In modern homes, butler's pantries are usually located in transitional spaces between kitchens and dining rooms, and used as staging areas for serving meals." Wouldn't it be nice these days to have the luxury of a separate room to store all your dinnerware?